Kenneth R. Fritz (Ken) of Owasso, Oklahoma, age 87, husband of Dora Lee Fritz, passed away Wednesday, March 20, 2019 at Baptist Village in Owasso after a long illness. Born 1931 in Hominy, Oklahoma, son of the late Sherman and Ressie Fritz. Children include Sherry L. Kennedy (Daniel) and Tony R. Fritz (Silvia). He is survived by four grandchildren, Shawn R. Kennedy (Jacqui), Canmore, AL, Canada, Jared A. Kennedy (Mayra), Seguin, TX Rachel Fritz- Kapuchuck, Oklahoma City, OK. , and Andre’ Gandelman (Laura), Sau Paulo, Brazil. Great-grandchildren include Bryce Fritz, Danielle Kennedy, Edna Kennedy, Madeline Kennedy and Maria Clara Gandelman. He is predeceased by his parents and sister, Norma Jordan. Mr. Fritz grew up on Osage County, Oklahoma and upon graduation, served in the US Army Corp of Engineers, during the Korean Conflict. 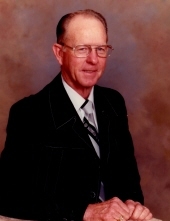 After his service, he joined his family business and later became partner/owner in Fritz Construction Company and Vinita Lumber Company for 20 years. He then created an oil operation with his wife and they were the owners/operators of Rainbow Productions Oil Company in Bartlesville until his retirement in 1991. After retirement, the couple traveled to Europe, Mediterranean, South America, Canada and enjoyed many cruises. Kenneth was also a full-time music director and a deacon in the Baptist churches where he served. His faith was a guiding principle in his life and he tirelessly served in all areas of helping others and leading music and singing with his wife in services to spread the good news of Jesus Christ. He received his private pilot license in 1966 and helped create and served on the Vinita Airport Board. He and his wife enjoyed boating and water sports, flying, motorcycling and RV’ing. His passion and talent, in addition to music was his creative woodworking and furniture making. His home was filled with his lovely creations which he also shared with his children and grandchildren. A small family celebration of KR’s life will be held in the next few months. His wish was to return to his childhood home in the “Oklahoma hills where he was born”, although we know he is in his new eternal home with God his Father. Please send cards and wishes to the family in care of the Dighton Moore Funeral Home, 116 N. Main Street, Owasso, OK 74055. To send flowers or a remembrance gift to the family of Kenneth Ray Fritz, please visit our Tribute Store. "Email Address" would like to share the life celebration of Kenneth Ray Fritz. Click on the "link" to go to share a favorite memory or leave a condolence message for the family.